Lutein and Zeaxanthin are two powerful antioxidants that protect the retina from the damaging effects of UV rays and blue light. These antioxidants can be found in green leafy vegetables. Leafy vegetables also contain vitamin C, E, beta-carotene, and zinc, which are all helpful in preventing the progression of age-related macular degeneration. 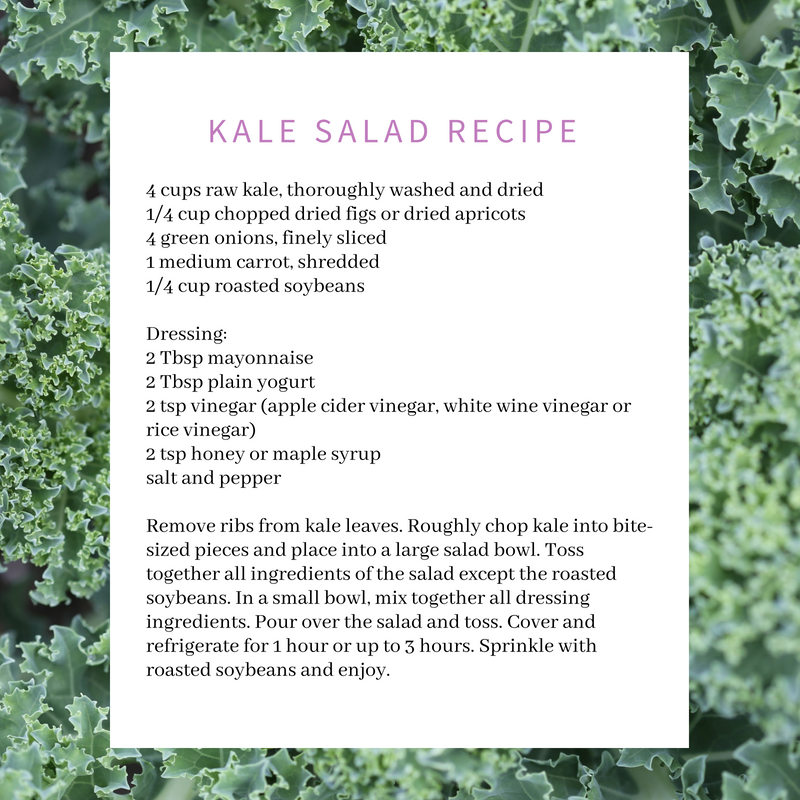 This salad features kale, and is a healthy option for good eye health! The recipe is by Optometrists Dr. Barbara Pelletier and Dr. Laurie Capogna who have co-authored books on eye nutrition.